"Historical records mention that the Vikings also took slaves to sell - and some of those slaves were women"
Iceland may be a small country, but it punches above its weight in terms of what it has given the world: air traffic-stopping volcanoes, stinky fish preparations, slow-clapping football fans and a lot of genetic information. Once early migrants settled in Iceland in the Middle Ages, the country received very little immigration, with the result that its population is incredibly homogeneous. Icelanders can trace their ancestors to more than 1,000 years ago, which means absolute paradise if you’re a DNA detective. And like any Nordic detective worth its salt, you’ll find scary stories in Iceland. The deCODE project, founded by Icelandic researchers, carried out some detective work by analysing DNA samples from a large proportion of the country’s population. They were looking primarily to identify disease-causing genes, but a lot of interesting information was discovered along the way which helped to assess what makes an Icelander. First, a DNA primer: our DNA is inherited from our parents in the form of chromosomes, which are basically DNA packed very tightly so that it will fit inside our cells. All of our DNA "unrolled" would be about three feet long, so you can imagine the level of packing up that needs to be done in order for it to fit into a cell so small that we cannot see it without a microscope. Men have X and Y chromosomes: they pass on their X chromosome to their daughters and their Y chromosome to their sons. Studying the Y chromosome is then a good way to find out about your male ancestry, since it has been passed uninterruptedly from man to man in your family. You can compare the Y chromosomes in the population of one country to those of people from another country to see how similar they are: this will help you find out whether their inhabitants are related. Analysis of Y chromosome DNA as part of the deCODE study, for example, revealed that approximately 75 to 80 percent of modern Icelandic men are of Nordic origin, with the rest originating from Britain and Ireland. These results were expected considering historical records of people from modern Norway settling in Iceland around the 9th century, with Gaelic people – from Britain and Ireland – also taking part. Because we can get X chromosomes from both our fathers and our mothers, the X chromosome is not a good way to analyse the DNA from our female ancestors. But there’s another source of DNA which is not in the form of chromosomes and that is inside a small "organ" in our cells called mitochondria. We inherit our mitochondria only from our mothers, and so the mitochondrial DNA comes to us from the women in our family. Analysis of mitochondrial DNA in modern Icelanders showed that about two thirds of this DNA was of Gaelic origin, closely related to that of modern women from Britain and Ireland. So the early settlers of Iceland appeared to be mostly Nordic men and Gaelic women. How could this imbalance be explained? The Nordic seafarers known as Vikings ruled the seas in their day, sailing as far as the east coast of America. This expansion was brought on by their majestic long ships, which could endure long trips and also how difficulties in their home countries encouraged them to explore other lands and try to make a living in them. Vikings settled in Britain and Ireland: any town with a name ending in –by is likely of Viking origin. Dublin was indeed populated by Vikings, as were Wexford, Waterford, Cork and Limerick. It is conceivable that Viking settlers in Britain and Ireland would have taken local wives and then travelled to Iceland to settle down with their families. However, there is another explanation that is not as jolly. Vikings traded extensively, but they also ransacked, burned and destroyed. 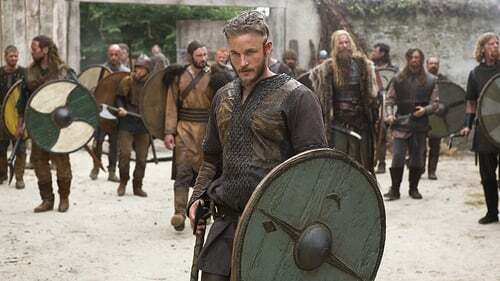 Britain and Ireland were repeatedly raided by Vikings in the early Middle Ages, with several towns and monasteries in particular being sacked. Historical records mention that they also took slaves to sell - and some of those slaves were women. Gaelic women brought to Iceland as slaves would have been forced to breed with Nordic men, giving rise to a population of mixed Gaelic and Nordic ancestry that matches the DNA studies. Modern Icelanders may then have arisen from a combination of raiders and slaves. Although we don’t know for sure, this theory is supported by DNA studies carried out on the remains of ancient Icelanders from the middle ages. These studies revealed that medieval Icelanders possessed equal amounts of Gaelic and Nordic DNA, but the modern population of Iceland is mostly of Nordic origin, as shown by the high prevalence of Nordic DNA. This means that a shift took place between the Middle Ages and now, when Gaelic DNA was diluted and Nordic DNA prevailed. Although it is possible that Nordic genes could have provided an advantage for survival in such harsh climatic conditions, slavery can also explain the decrease in Gaelic DNA. The lower social status of Gaelic slaves would have restricted their ability to have children who thrived. Progress in genetic studies over the past decades has not only allowed us to find genes responsible for disease and try to develop new therapies to treat them, but it has also revealed long-forgotten stories of cruelty and sorrow. After all, they are written in our DNA. Can we tell the difference between sane and insane?